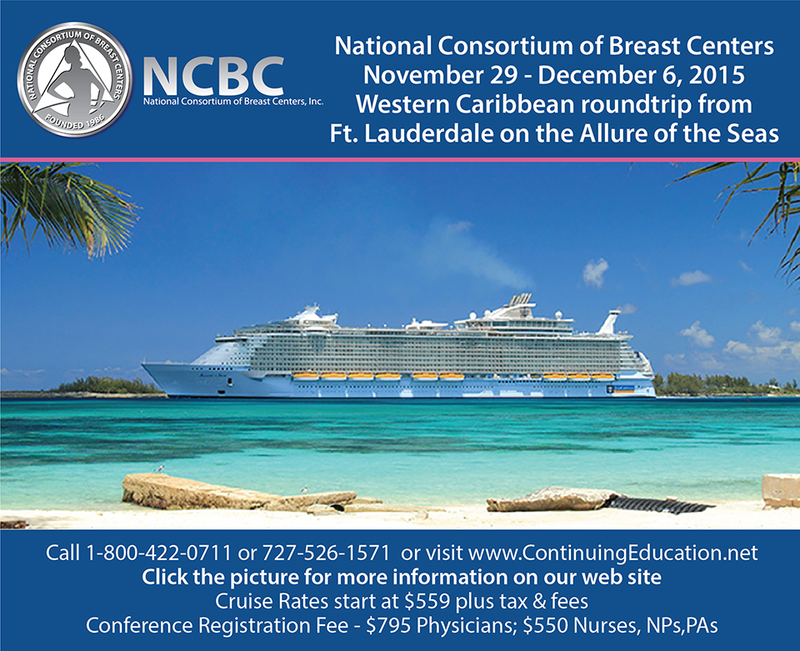 Now offering: Breast Cancer, Breast Care, and Common Breast Issues for the Primary Care Provider: 2015 Update In Collaboration with the National Consortium of Breast Centers. Earn 14 AMA PRA Category 1 Credit(s)™ aboard the Royal Caribbean's Allure of the Seas. Open to Physicians, NPs, PAs, Nurses, and others in general practice.